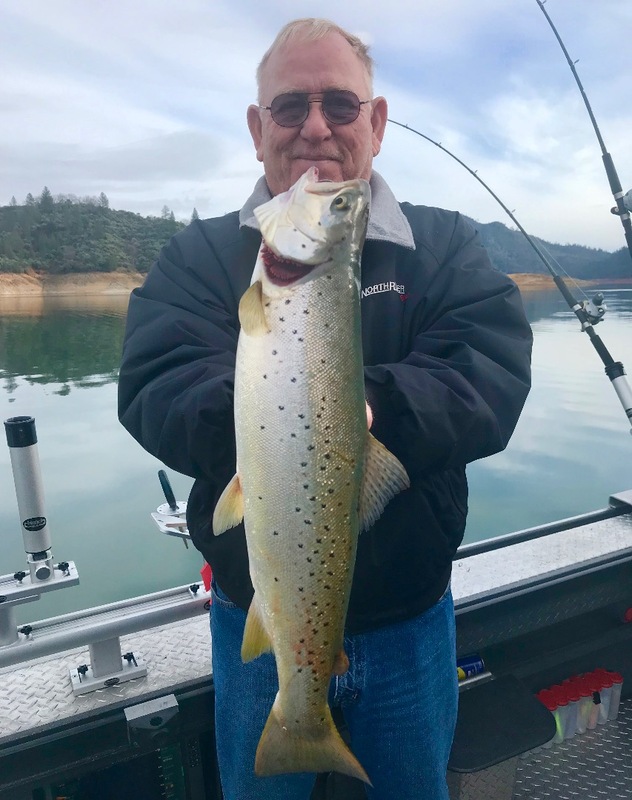 This Shasta Lake brown trout was caught with a www.bayratlures.com trolled at about 15' deep. I took advantage of a short break after the ISE show this year to get all of my ducks in a row before another busy year of guiding on Shasta Lake ahead. Brown trout fishing will dominate my efforts on Shasta Lake the next few months. and with the current lake conditions, we should be in for another great year of catching big browns on Californias #1 rated reservoir. 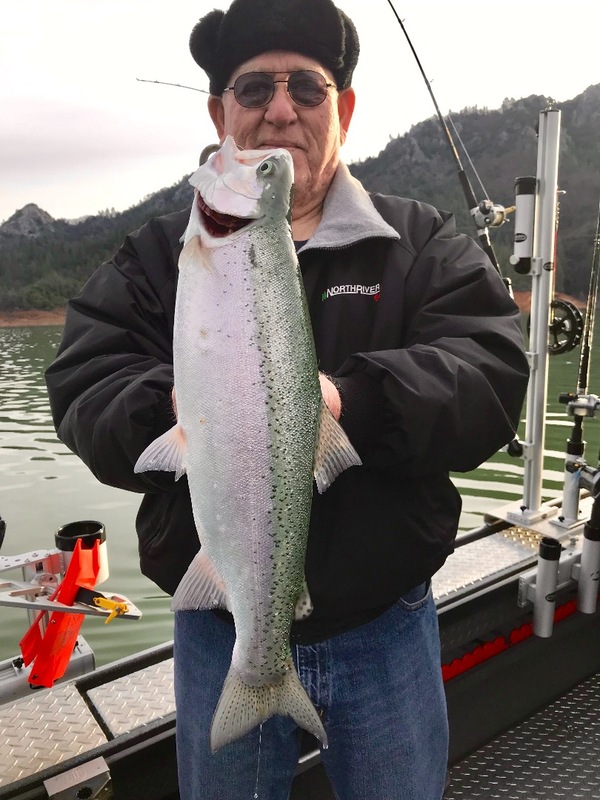 Shasta is still a chilly 50 degrees and the bigger brown trout specimens in the lake are still playing hard to get. Our day was dominated by rainbow bites to three lbs, but we did land a nice four pound brown at the end of the day. We had a few other big bites, but we couldn't close the deal on those hook ups and as a result our final score for the day reflected the missed opportunities. The brown trout and rainbow trout we are catching are in great shape. Both of our biggest trout pictured below were released today to fight snothrt day! 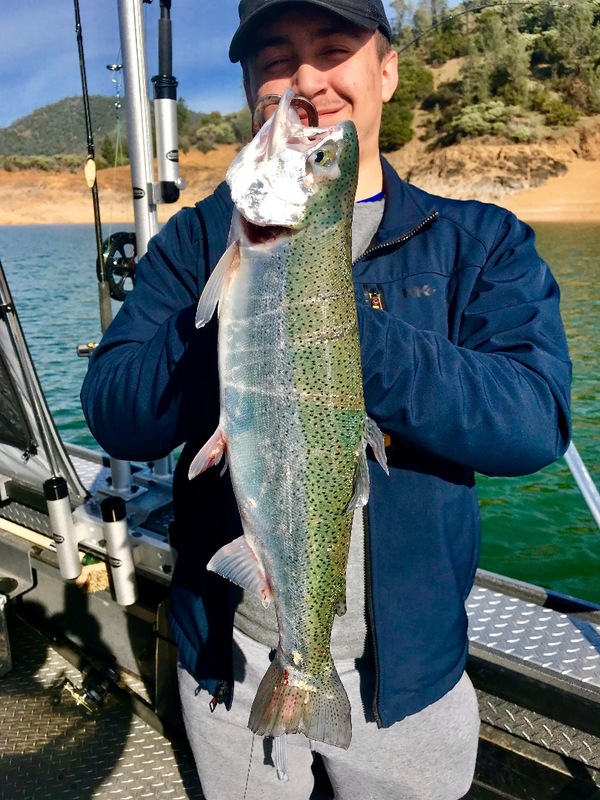 If you want to book a trip on Shasta for spring Brown trout fishing, now is the time. 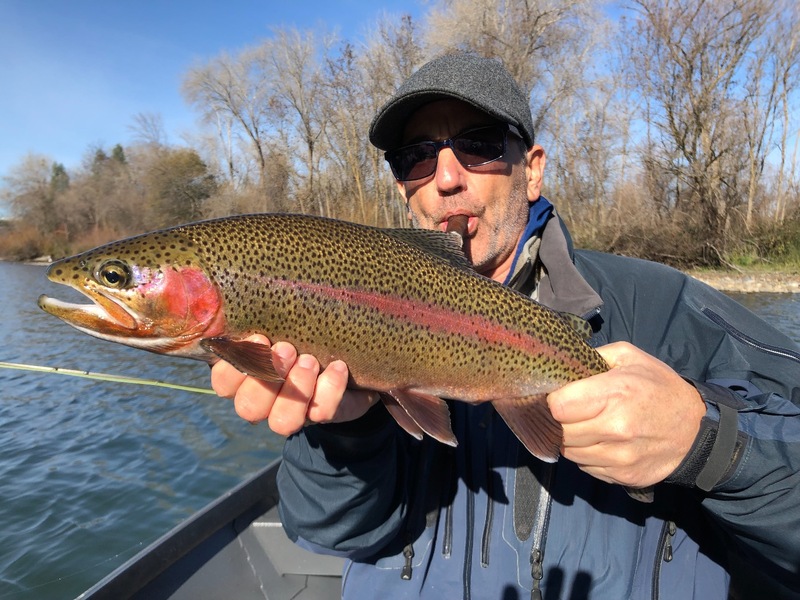 Sac River wild rainbow fishing!